GPTPlanet Review - Is GPTPlanet Scam or Legit? March 11, 2019 February 4, 2017 by Lea B.
I read this article and found it very interesting, thought it might be something for you. The article is called GPTPlanet Review – Is GPTPlanet Scam or Legit? and is located at https://howtogetref.com/gptplanet-review/. There are a lot of people joining PTC sites believing that they can earn a good amount of money. But only a fraction of these people is meeting their expectations. The reason? They registered on the wrong PTC site, so their invested time and money are wasted. But fret not, today I’m going to introduce you to one of the trusted PTC sites on the web. GPTPlanet Admin – Who is the founder of GPTPlanet? GPTPlanet was launched in October 2010 and founded by Dimitrios Kornelatos, (usually addressed as “Kordim“) from Athens, Greece. It is Kordim’s second project, the first being Scarlet-Click which is online and paying since 2009. That clearly shows that the owner has already gathered a vast experience in running successful PTC business. GPTPlanet owner started this as a small project, but after adopting its more aggressive “bux” business model, it now boasts 328,200 members. The site also already paid a total amount of $525,995.53 since 2010. The domain www.gptplanet.com is set to expire on the 24th of August, 2018. How popular is GPTPlanet.com? See current Alexa ranking here. GPTPlanet Review – What is GPTPlanet? GPTPlanet is a so-called elite PTC site that welcomes both advertisers and members to try their services. As an advertiser, you can use their platform to get traffic to your website at a cost. While as a member, your job is very simple, you just need to register for free to complete no-brainer tasks like viewing ads, completing surveys, getting referrals and much more. GPTPlanet design is made by 33brushes.com and is powered by Evolution Script version 5.0. That makes the site easy to navigate and very user-friendly. Established site – GPTplanet has been online for almost seven years now and paying with no problem since 2010. Most PTC sites don’t last that long, many will pay at the beginning but will stop after some few months and will turn to scam. So we can say that the site is well managed and can be considered as an established PTC site. Low Minimum Cashout – You can request for payment once your account balance is at least $1.05. For the second and next requests, you need to have at least $2 in your account. Worldwide Service – There are no restrictions, people all over the world are allowed to join and earn on the site. Free To Join – You don’t need to pay anything to make an account. But if you do not log in for more than 60 days your account will be marked as inactive and it might get suspended due to inactivity. Unlimited Direct Referrals – There’s no limit to how many people you can invite to join under you. That means the more active people you invite, the more money you can get. Active Forum – Forum is vital in any PTC sites; you can see there if the site is having a problem or not. It is a place where the members and the admin/staffs communicate with each other. Members can also post their success stories or doubts, post payment proofs, share the experience that they had with the site, ask for support and stay informed about the recent changes made on the site. Slow earning for free members – for free members relying solely on clicking ads on their own and not having referrals, it will be hard to gather sufficient amount to be able to cashout. View Advertisements – As of this writing, there are three types of ads on this site, fixed ads, tiny ads and nano ads for free members. You can earn $0.0002 up to $0.001. Though doing this solely will not give you a significant amount of money, it will still add some cents to your balance. Clicking the “View Ads” section would open up the list of ads you can see for the day. When you click on one advertisement, the sponsored website open in a new tab, and you just need to wait for the timer to finish then click the upside down picture, close the tab and repeat until you viewed all the of it. In this example, it is the third picture from the left that you need to click, after that, you can see a “Thank You” message indicating that you successfully viewed the ad and got the corresponding amount to your balance. *You need to click four ads a day to earn from your referrals. GPTGrid – GPTGrid is very similar to viewing ads, but the difference is you are not necessarily paid for every ad you click and watch. This is a game of luck; there are monetary prizes inside this 20 x 28 grid, you can earn up to $1 from playing this. But don’t expect a walk in the park, you may end up finishing your ten chances (for free members) without earning anything. So just do this if you have some spare time. PTCWall – You can earn extra money by viewing ads, doing surveys and offers. These are the most lucrative task to do on this site. The amount you can earn here is higher, so allotting more time doing these would be good in the long run but it also requires more effort. Paid to Sign-Up (PTSU) – These are made by advertisers on the site, just like what the name suggest, you are paid to sign up for a site that the advertiser wants you to join. The corresponding amount indicated here will be automatically credited to your balance once the sponsor approves your work. So you need to follow the instructions correctly and don’t cheat so that you won’t be banned. GPTPlanet Rented and Direct Referrals – how to earn more in GPTPlanet? The only way to make decent money that is worth your time and effort are by getting referrals. Direct Referrals – Like in most of the PTC sites, direct referrals (DR) are the most potent (and risk-free) way to make yourself a decent online income with GPTPlanet. When you create your account, you immediately get access to the GPTPlanet promotional tools (banners and your personal referral link). If you can get enough people to sign up under your link, you can expect to earn a solid side income. Since this site doesn’t have a limit on the number of people you can invite, it is very beneficial for members who are good at promoting their referral link. Rented Referrals (RR) – If you have no desire or time to recruit new members, GPTPlanet also enables you to hire them for 30 days. Now, usually I would suggest you stay away from RR altogether because they are nothing but bots, but here in GPTPlanet, they are profitable. GPTPlanet referrals are very active and easy to manage. All you have to do is to extend them on as much longer period as you can afford, and to maximize your profit by taking advantage of discounts the site offers. GPTPlanet Membership – should you upgrade? The crucial thing to consider when upgrading is that “Yearly Silver” upgrade is not a good choice. It will allow you to rent only 100 referrals and this is a kind of trap you will have to pay for an entire year if you mistakenly choose this upgrade. It can be good to start your first month with “Monthly Silver” or until you get 100 good referrals. Then you can go to “Monthly Gold” the next month to be able to rent more again. But if you already have many direct referrals and you want to rent more than 800 RRs, I suggest you directly jump to “Yearly Gold”. Below is the detailed information you need to know for each membership. GPTPlanet Cashout – is GPTPlanet paying? GPTPlanet never fails to pay their members on time, which is a good sign that their business is stable and they are a legit site. You must also wait up to 7 days to get your payment request. The minimum payout is $1.05 for your first withdraw, and then the rest payouts are at $2. The only payment processor they use now is Payza and Paypal. You can see more proof of payments here and in their forum. 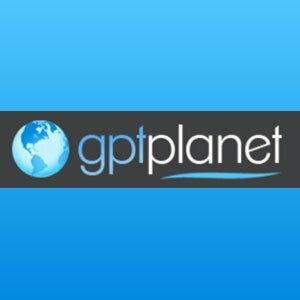 GPTPlanet Opinion – can you really make money with GPTPlanet? GPTPlanet has been online and paying for almost seven years now. It’s not a get-rich-quick scheme, but everyone can earn cash from them without spending a dime. GPTPlanet is a legit website that you can leverage on to make some extra income. But the effort you put in will determine how much money you are going to make. If you are looking for a way to replace your full-time income, then this is not something you should do. But if you’re looking for a way to earn extra money aside from your primary income then this is definitely for you. Are you already a member of GPTPlanet.com? Are you satisfied with their services? Share with us your experiences in the comment section. Do you need GPTPlanet Direct Referrals? Telephone No.N/A, Use support form. GPTPlanet is a Paid To Click which was launched by Dimitrios Kornelatos ("Kordim") in October 2010. Is it a scam? Or legit? 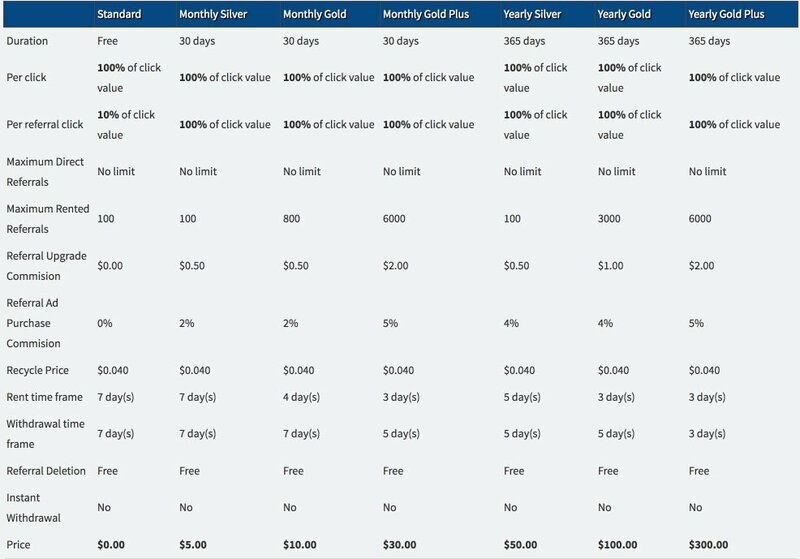 ClickFunnels Review – Sales Funnel Software – The best landing page builder? Its really a good one to earn constant Income. Thanks for sharing your thoughts about GPTPlanet! :) How long have you been a member there? I registered a few years back, and so far, I’m really satisfied with how this paid-to-click is managed. Dimitris is doing a great job. the click ptc it is realy earning money or not? this ptc gpt is scam when i reach the payout amount after 6 months of hard work they close my account this happens 3 time (6 x 3 months) i waste my time :\ on this sht site .. While I have not worked it much. I am thinking that I should at least give a far shot. Hopefully things will pan out as they should. We all know there has been so many changes taking place online. Good luck, lele :) Let us know about your experience once you tested it. I have just started with PTC business. I have also registered with GPT planet and SC. Should we sign up for 15 to 20 PTC to earn more or 2 to 5 PTC is enough? I am a member of GPTplanet. İt is very slow to earn money being a standart member. 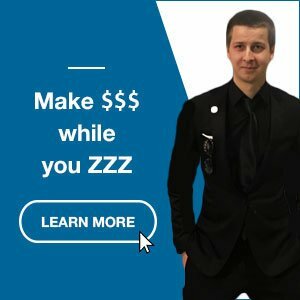 You should get many referals to earn more money. I’m the crash test dummy of online marketing, sharing what works (and what doesn’t) so you know exactly how to improve your results. © 2019 ReferralBooster • Powered by GeneratePress • Customized with Divi • Learn how to build and monetize a blog like this: click here.